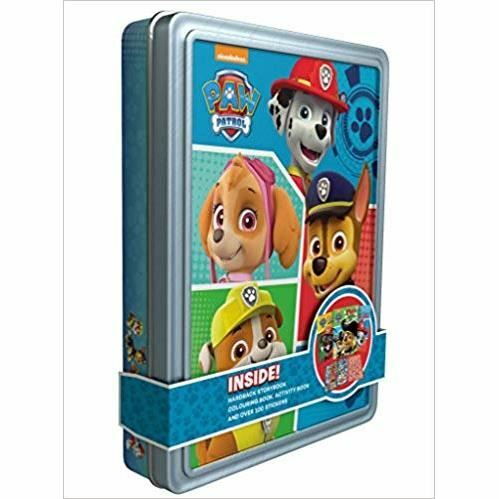 Get ready to roll with this Nickelodeon PAW Patrol Happy Tin! Join Ryder and the pups in their latest exciting adventure with the hardback storybook, then enjoy an action-packed colouring book, a fun-filled activity book and over 100 pup-tastic stickers all housed in a pup-tastic collector's tin. They ll keep PAW Patrol fans happy and entertained for hours.